Save the Date is a fabulous feature created by the amazing Jamie from The Perpetual Page-Turner. The idea behind this feature is to get the word out early for books we've read before the pub date, but our full review won't be posted until later, closer to its publication. About the book: When Quinn Sullivan meets the recipient of her boyfriend’s donated heart, the two form an unexpected connection. After Quinn loses her boyfriend, Trent, in an accident their junior year, she reaches out to the recipients of his donated organs in hopes of picking up the pieces of her now-unrecognizable life. She hears back from some of them, but the person who received Trent’s heart has remained silent. The essence of a person, she has always believed, is in the heart. If she finds Trent’s, then maybe she can have peace once and for all. Jessi Kirby is an author that has easily made her way into my favorite contemporary writers of the young adult contemporary realm. She crafts an authentic, beautiful story that will pull at your heart strings. Her latest novel tugged so hard my heart broke into pieces, only to be put back together again, as she's known to do. 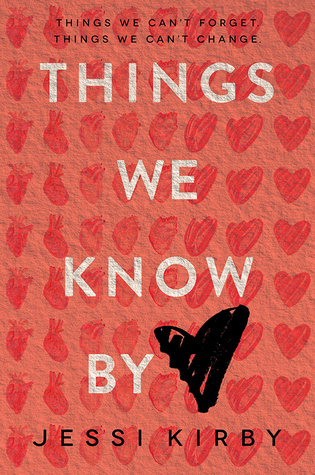 Things We Know by Heart takes a deeper look at the ugly side of grief, something I can definitely relate to. As the world around you moves on, you're still stuck, sinking in a quicksand of loss that sometimes feels almost unbearable. Quinn has just lost her boyfriend, suddenly and far too young. The world she held so close to her own heart has now been ripped out piece by piece. In an attempt to sew those pieces back together, it becomes her mission to find the recipients of her boyfriend's donated organs. The last one, his heart, poses a challenge as the recipient chooses to remain silent and private. But Quinn, as determined as ever, seeks him out anyway, hoping to stay anonymous with her intentions. This story delves much deeper than just the tragic loss of a loved one and shines bright with the beginning steps of grief, pulling one's self from beneath this quicksand and learning to walk an entirely new path. I was swept away by the beauty of something that can be so heartbreaking, focusing on the rich, exquisite words that filled my own heart, causing me to fall in love with yet another one of Jessi Kirby's novels. This story reminds me of the movie Return to Me, which I loved! I'm glad to hear you enjoyed it! 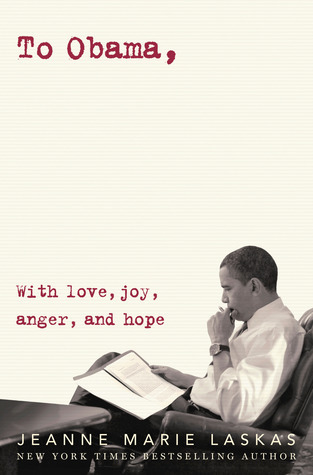 I am so looking forward to this book! So happy to hear you loved this one, G! I can't wait to read it. Golden is one of my favorites! I need this book now! The synopsis kind of reminds me of the movie, Finding David's Heart, but it's still seems pretty original. I read a heart transplant themed book a few years ago (Change of Heart by Shari Mauer) and I loved it, so I have pretty high hopes for this one. Ah, Things We Know By Heart! The story is such an interesting take on yet another facet of grief, and I liked seeing how Quinn deals with such sadness in her own life. So glad you liked this one!